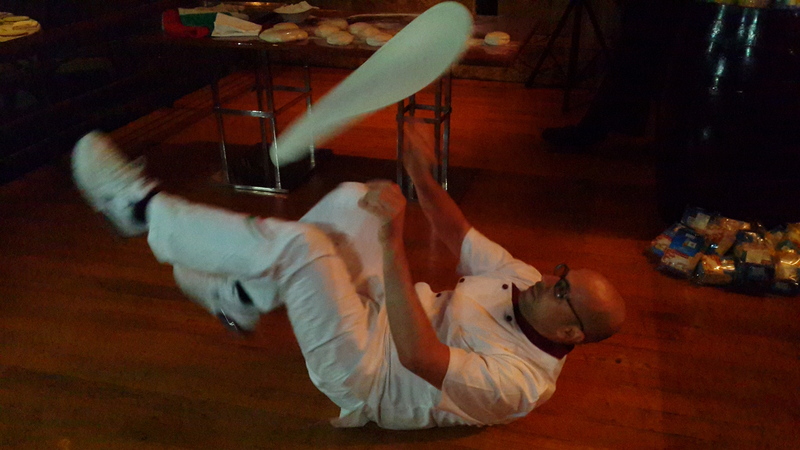 So what comes to mind when I say Acrobatic Pizza Chef. Not much eh? 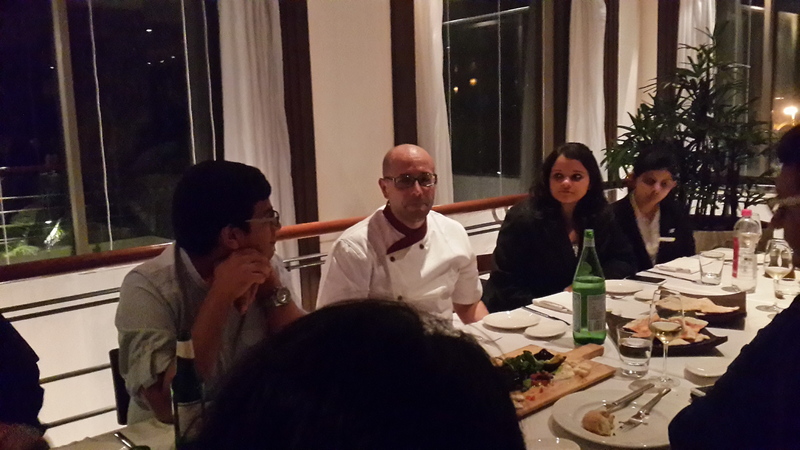 Same here, but when I saw the banner of the world renowned Chef Pasqualino Barbasso at Marriott, Juhu. I was confused and curious at the same time. Hence I decided I had to see what was all this about. But thankfully before I made any plans, I received an invite for the media table for food bloggers with the Chef himself, and I was excited. 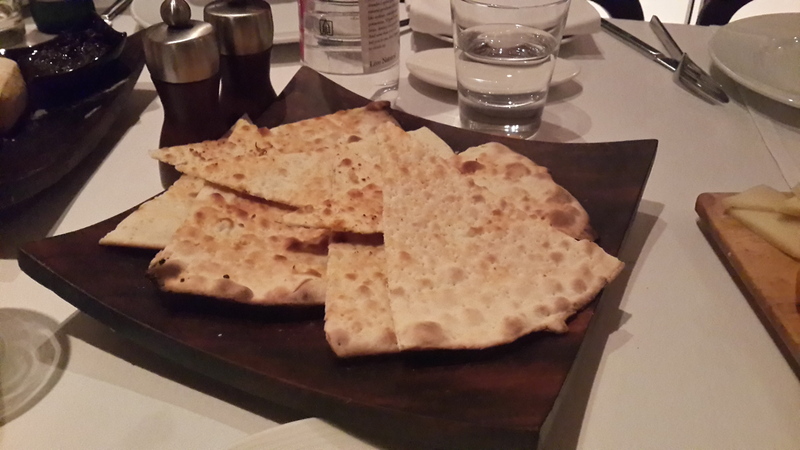 So I reached at Mezzo Mezzo, the Italian restaurant at JW Marriott, Juhu, Mumbai. Mezzo Mezzo is very close to my heart. It was almost my first and earliest fine dining experience alone with my nephew. It was his birthday and I had taken him there. Though we have some very fond and embarrassing memories there, but that is for another post. So we come to the Acrobatic Chef. Well let me begin by telling you that an Acrobatic Pizza Chef in Italy is a Pizza Chef who does great tricks with the pizza dough, and by tricks I mean juggling, swirling, throwing, catching and much more. It is like a full on magic performance but the main point – the dough doesn’t break ! And that’s the beauty of it. God knows I can’t even roll the dough without breaking it, how the hell does he do these tricks. And Chef Barbasso has won world championships in it, not once but twice. That’s not his only talent and as I said “Chef Barbasso” he also makes great pizzas. And I was lucky to taste and see his great work. Now I will straight away rush to the food. 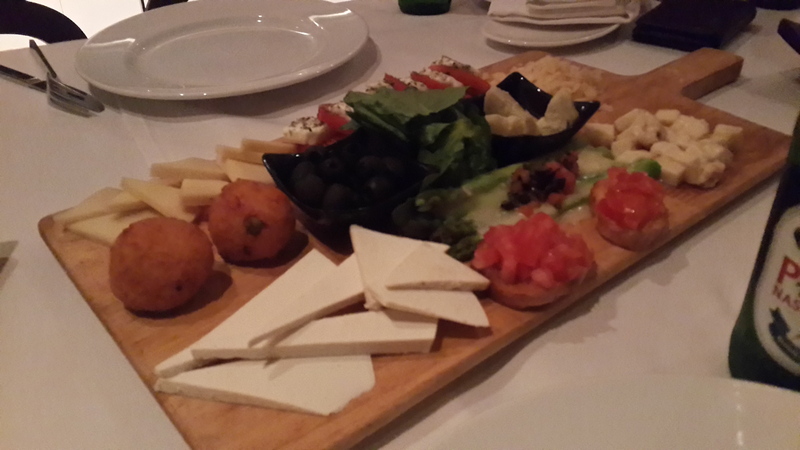 For starters we were served with warm breads, various cheeses, olives, Brushettas and more. 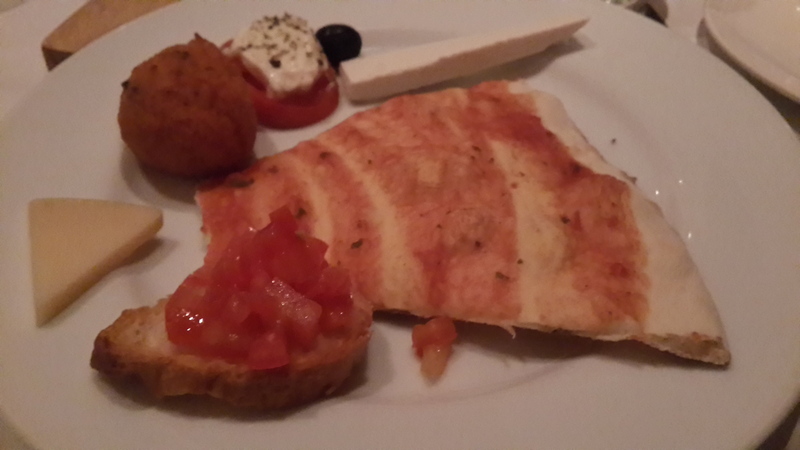 I really like the spicy Ricotta balls (I think that was the name, I am very bad at remembering names). 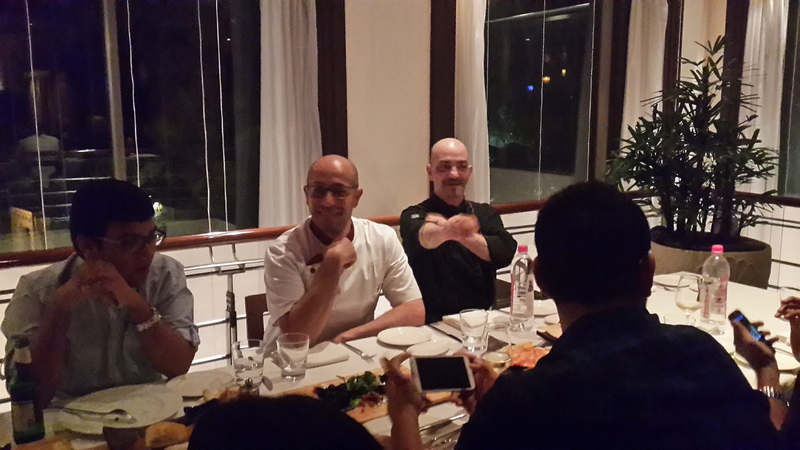 While nibbling on the starters, Chef Barbasso and Chef Davide came and chilled with us on our table. After some fun interaction with the chef, we got ready for the performance. The perfomance was spectacular. The ease with how Chef uses the dough is just plain fantastic. It is worth a watch. The perfomance is around 10 minutes but worth every minute. It is something new, fun and never seen before. 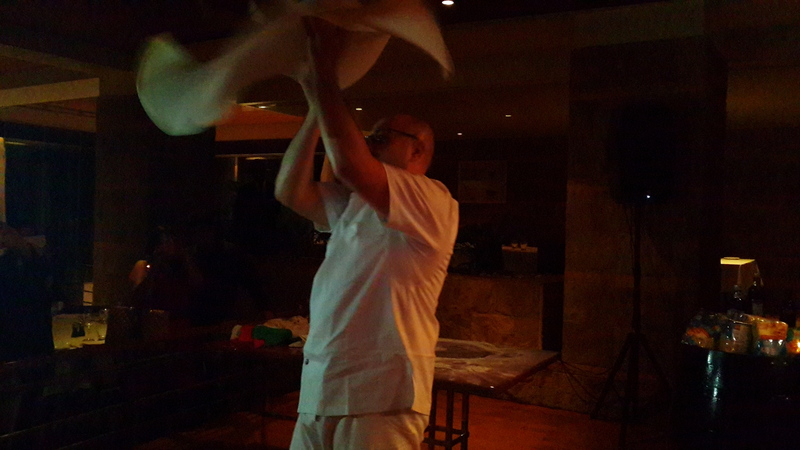 After the performance the Chef went to bake some pizzas for us. This is the vegetarian pizza on the menu. Though not a traditional looking pizza, it does taste like one. 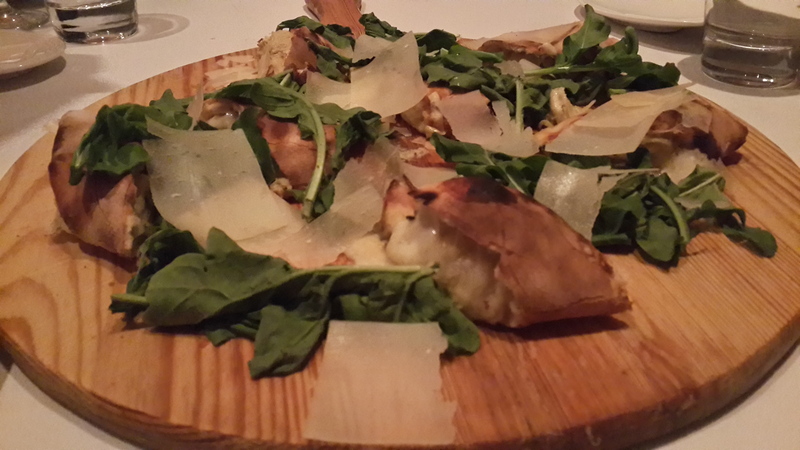 The pizza is made of Artichokes puree, Artichokes, Mozzarella, Bresaola, Rocket and Parmesan flakes. It is nice if you like Artichokes. Now this I feel is the winner of the night. It was delicious. 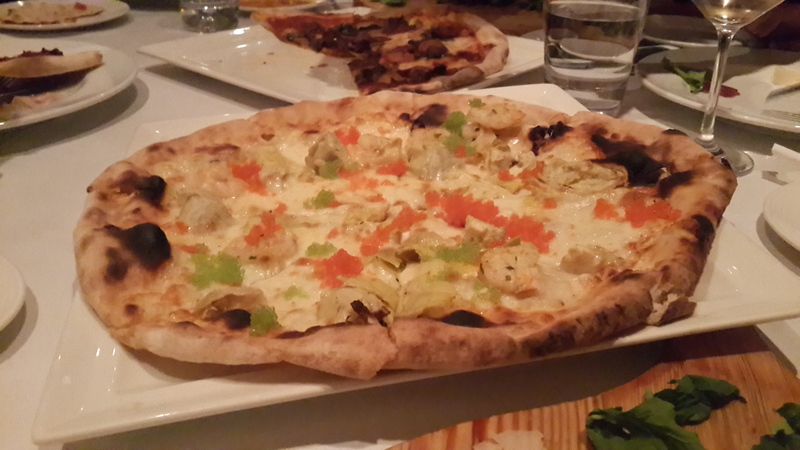 It is called the Lilly, made with a perfect thin crust, Mozzeralla, Shrimps, Artichokes and Caviar. 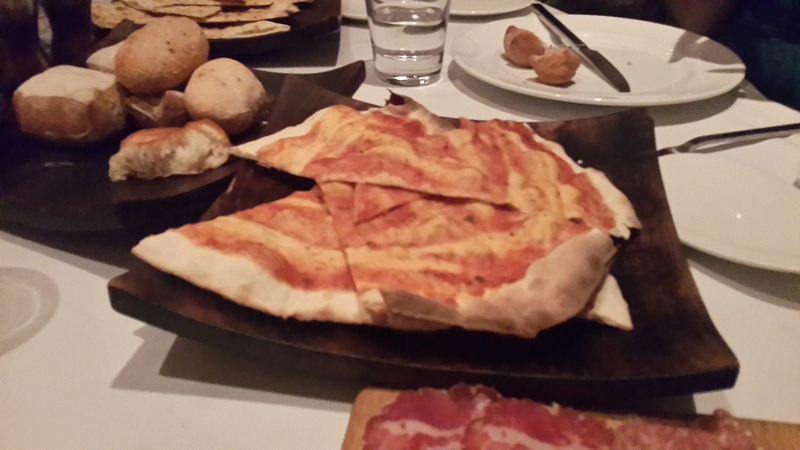 The taste and feel of this pizza is something new, creative and delightful. If you are going to visit Mezzo Mezzo between 9-17 May just close your eyes and order this. This one is also good. 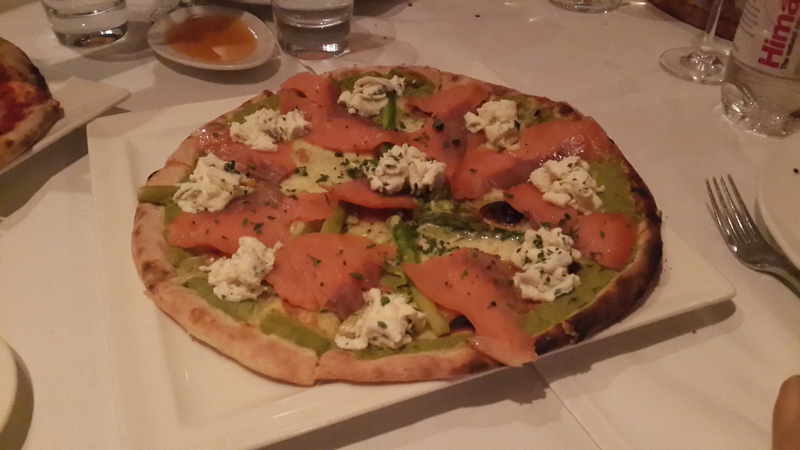 It as an Apsagaras puree with Smoked Salmon, Mozzarella and Herb Riccotta. I really liked the Herb Ricotta. So on the whole, it was a damn good night, with some great food and people. 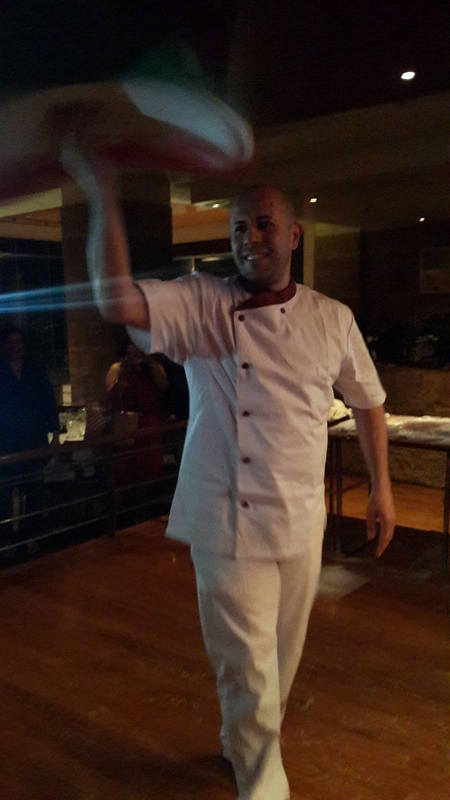 I would really recommend everyone to go and check out Chef Barbasso’s performance and eat the yummy food. The best part, he performs it twice in the evening, once at the Lotus Cafe and second at Mezzo Mezzo around 9.30 pm and 10.30 pm. So go ahead on a perfect evening with delicious pizzas and fun performance. It is on till 17th May, so don’t miss it.